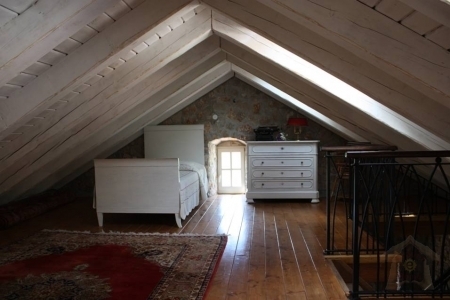 Dubrovnik Holiday Villa is located in the heart of Croatia. 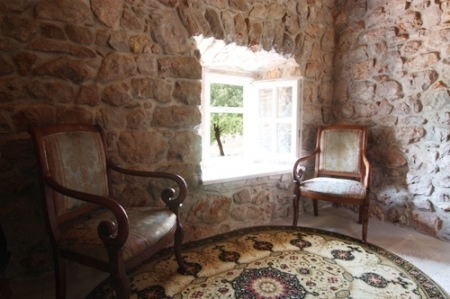 As you enter the compound you will be taken by the quality of care and craftsmanship in this lovely villa. 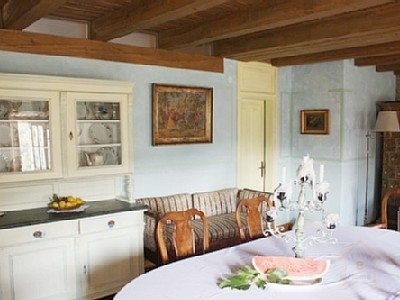 The villa has spacious rooms which are decorated in modern style with warm, antiques and beautiful hardwood finishes. These four bedrooms, four bath villas provide everything you need for an incredible getaway. The villa is exclusive and contains four bedrooms each with twin beds. There is a big living room with satellite TV, DVD player, stereo and piano. The kitchen is sleek and efficient, with top of the line appliances and equipped with dishwasher, oven and refrigerator. An elegant and inviting living space high above the villa is surrounding a fireplace, for warmth and glow on cool island nights. Villa has a private parking lot, included in price of the stay. The beaches close to Villa are all suitable for children. 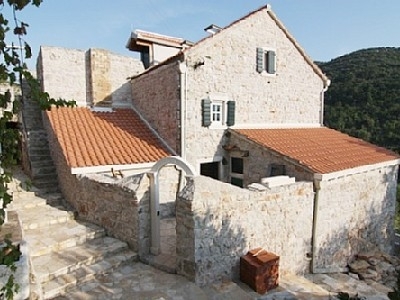 Dubrovnik villa vacation rental rates EURO25 per night. Rates are subject to change without notice. This villa is a perfect retreat for couples and families alike! Esta casa me encanta. Esta en un lugar muy tranquilo, en la naturaleza virgen. La recomiendo para los que buscan aventuras, momentos romanticos, o incluso los que quieren disfrutar de paz y silencio que ofrece el ambiente de un lugar apartado de los ruidos cotidianos. Aqui se puede disfrutar de una casa preciosa, diseÃ±ada con muy buen gusto. Se nota que cada mueble fue escogido con mucho cariÃ±o, y que cada detalle de la casa esta en perfecto orden. Es necesario tener el coche para ir a las playas (5 min), que tienen un encanto especial. Estan muy limpias, con el agua cristalina, es impresionante. Y tambien se pueden visitar mas lugares del alrededor que tambien tienen mucho encanto turistico: Gastronomia (muy rica y mediteranea) y visitas a las murallas de Ston, Korcula (isla de Marko Polo), Dubrovnik, etc. Nosotros volvimos encantados, y los niÃ±os todavia recuerdan las vacaciones de Croacia con mucho cariÃ±o. We were there two times and we will return again for sure. We had a perfect holiday with our four children and friends at Villa Veli Vrh! The owners are very kind people who really make you feel their guest. We loved it and we are sure others will too. Catalina, Christian, Julia, Jochen, Maria and all the others, thank you for your hospitality! We stayed one week in Villa Veli Vrh and it was perfect quiet place. The weather was pleasantly sunny every day. The owners and staff were friendly, helpful and committed to making your holiday a happy and rewarding experience. You need a car to go around in the area. It\'s hard to find such places and we hope that it will stay this way! One of the most extraordianry,relaxing holiday I\'ve had in long time.This house was made with one purpose,to satisfy your every need.Thick stone walls to keep you cool on those hot dalmation days and nights.The beach is a 5 minute drive crystal blue,natural beaches that can par with the best carribean beaches I\'ve seen. I could go on and on about the actual house to put it all into one word,magic.One thing is for sure I know where my family and I are going to spend at least 7 days next summer. Wir wollten etwas besonders und wir wurden nicht enttÃ¤uscht!!! Das Haus ist viel mehr als auf dem Fotos zu sehen ist. Die Abende auf denTerrassen mit einem tollen Glas Wein vom Nachbarn waren Ã¼berwÃ¤ltigend. Die absolute ruhe TagsÃ¼ber. Das singen der Zikaden Abends und ein reiÃ�en groÃ�es Sternenhimmel. Das Kaminzimmer in den wir ein paar Gerichte zubereitet haben war das Highlight. Die Vermieter waren sehr nett und gaben uns viele Tips. Rundum stimmte einfach alles, wir kommen sehr gerne wieder!